They each suffer degradations and triumphs large and small: Egon's terminally acerbic lifelong friend, bestselling author Meyer Leavitt, now wears a sandwich board on a New York street corner; Catrina Harty, the headstrong daughter of a dirt-poor Irish trolley driver, survives heartbreak and loss to forge an unlikely alliance; and Egon himself is forced to abandon his thriving medical practice to become the "Cheese Man" at a Washington Heights grocery. But their spirits remain unbroken, and when their little community is faced with an existential threat, these strangers rise up together in hopes of creating a permanent home. 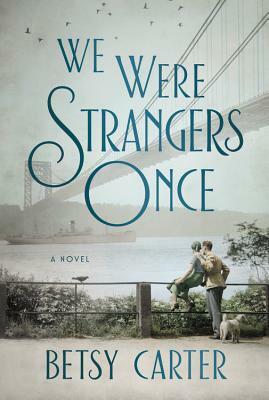 With her uncanny ability to create indelible characters in unforgettable circumstances, bestselling author Betsy Carter has crafted a gorgeous novel that will resonate with anyone who has ever felt adrift and longed for home. The daughter of German immigrants, Betsy Carter is the author of the novels Swim to Me, The Orange Blossom Special, and The Puzzle King, as well as her memoir, Nothing to Fall Back On. She is also the creator and editor of New York Woman Magazine, and has worked at many other magazines, including Newsweek, Harper's Bazaar and Esquire.